Moose PuzzleTile™ is a 2’ x 2’ x 8mm interlocking recycled rubber tile with EPDM color flecks. 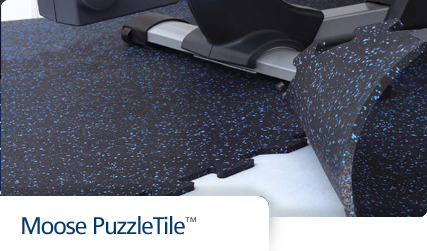 Regularly used in weight rooms, Moose PuzzleTile™ is also well suited for more economical installations such as home gyms, schools, and YMCAs where a less “permanent” installation is desired. Moose PuzzleTile™ is durable enough to hold up to high use and heavy weights, is economical and versatile. Easily install tiles to fit an entire room “wall-to-wall”, or configure the tiles in the center of the room to create an “area rug” layout. No adhesive needed. Moose PuzzleTile™ standard thickness is 8mm. Tile size is 24” x 24” (4 sq. ft. per tile) and is available in black, 10% blue fleck and 10% grey fleck. All other colors are available in 23” x 23” for an upcharge. 23” x 23” (3.67 sq. 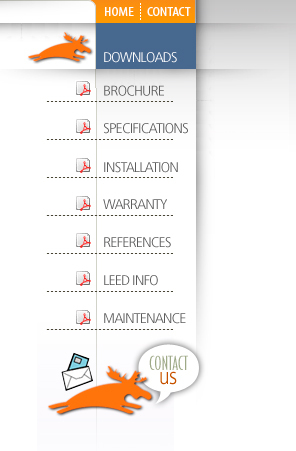 ft. per tile) tiles are available only in center tiles and can easily be trimmed on site.